create historical fashion-inspired Valentine's cards. A one-day workshop that includes drawing fashion figures inspired by exquisite 18th century London and Paris fashion plates from the Sanderson Special Collection. 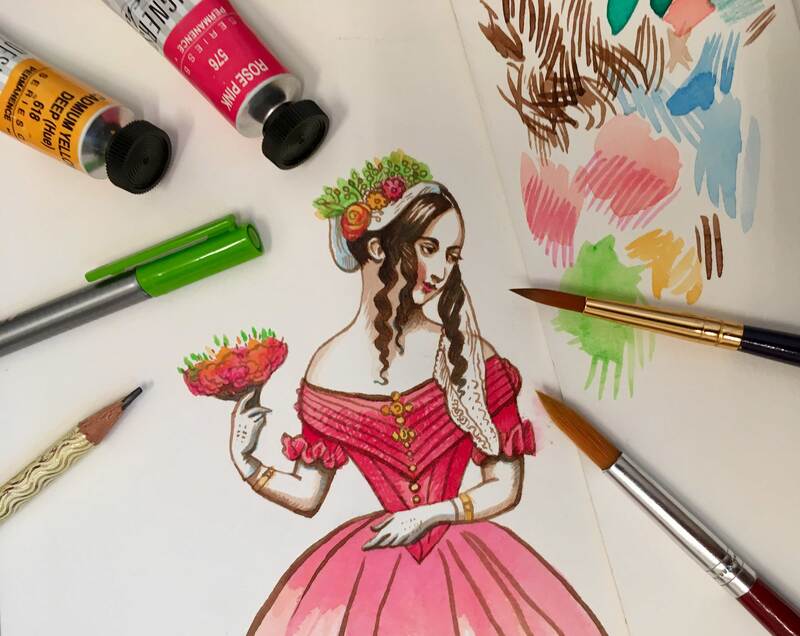 The workshop will combine a Librarian talk about the Sanderson Collection and a hands-on drawing and painting workshop responding to the fashion figures form the Sanderson Collection to create historical fashion-inspired Valentine's cards. Using line and wash and embellishments such as vintage flowers, hearts, cherubs and other elements. Teresa Flavin is a Lecturer on the BA (Hons) Illustration programme at Leeds Arts University . Alongside her teaching, Teresa is an established author and illustrator. The event is appropriate for ages 13+.